Can Currency Be Converted Within an IRA? 1. What Assets Can Be Held Inside an IRA? 2. Can I Invest My IRA in an LLC? Individual retirement arrangements (IRAs) allow for a very broad menu of investment options. There is nothing in IRA rules that prevents you from holding investments denominated in any currency, from switching investment currency denominations back and forth, and even from holding the currencies themselves -- or derivatives based on currency valuations -- within your IRA. Congress places very few limitations on what you may own within an IRA. Specifically, you cannot use your IRA to purchase collectibles, alcoholic beverages, life insurance or jewelry. You also cannot transact directly with yourself, your spouse, ascendants or descendants, their spouses, or any entities either you or they control. Other than that, you can hold nearly anything in your IRA you like. There is no prohibition against going abroad. Many people hedge themselves against possible future declines in the dollar by purchasing assets that are denominated in foreign currencies. When the dollar declines relative to the foreign currency, or the other currency rises against the dollar, the value of your investment portfolio rises when converted back into dollars. You can change currency denominations at will simply by selling your foreign-denominated assets and buying assets denominated in other currencies. Some investors use the currencies themselves as speculative vehicles for investment, a field called FOREX investing. FOREX stands for "foreign exchange." Some investment companies allow you to open up an IRA account and simply fund it with foreign currency. Because currency movements are frequently small, many investors magnify their returns, positive or negative, through the use of borrowed money, or "leverage" -- also perfectly legal within an IRA. As long as the foreign-denominated assets or foreign currency itself remains in the IRA, there are no tax consequences for switching back and forth between currencies or assets denominated in foreign currency as much as you like. If you take a distribution from a traditional IRA, however, you will have to pay income taxes on the distribution, plus a possible 10 percent early distribution penalty if you are under age 59 1/2. Can IRA Money Be Used to Purchase Foreign Property Without a Penalty? 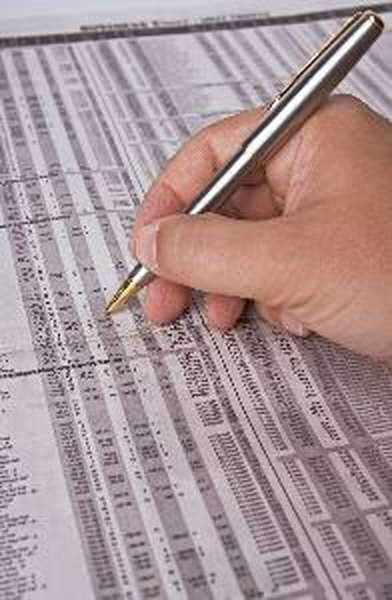 Are Roth IRAs Connected to Stock Market?